So, you have decided to use a meditation cushion and you do not know why and how you should use it. 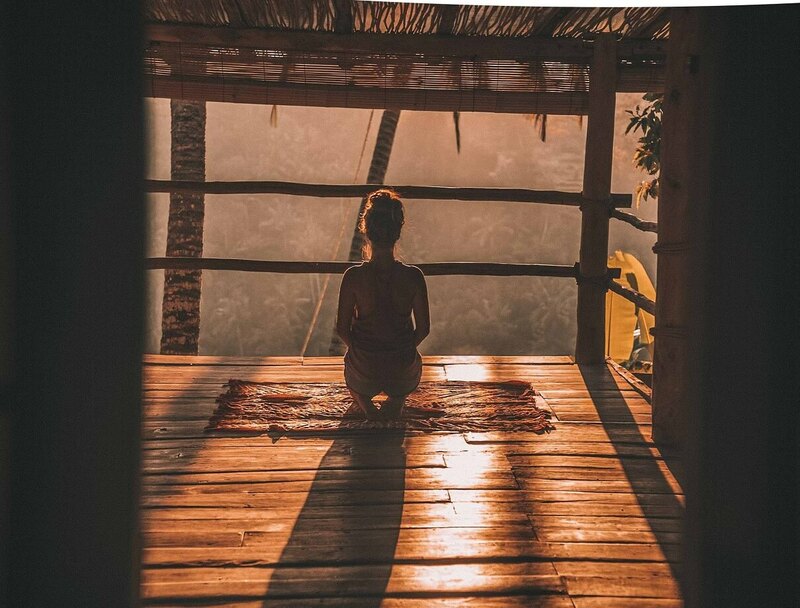 Well, to give an answer to that in one sentence – it is to perfect your meditation posture that one uses a meditation cushion so that he or she gets maximum benefit from their meditation practice. And to know how to use a meditation cushion….. Read on and believe me you are gonna learn more than just knowing how to use a meditation cushion today. The importance of a good meditation posture. Why use a cushion during meditation. How to use a meditation cushion. 3 Why use a cushion in meditation? Think of a good posture as a radio tuned to a correct frequency. If it is tuned correctly, you get the audio and if it is not then you get nothing. Similarly… maintaining a good meditation posture is aligning your body to the cosmic alignment. So, if you hold the position right, if your alignment is right then you will get the ultimate benefit out of it. Patanjali, one of the great meditators to walk on the planet, had put great emphasis on the quality of posture. He uses the term asana siddhi, perfection of posture. By perfecting a posture means to reach a state where you can sit unmoving in one posture for as long as you want without experiencing pain or numbness in your body – in total comfort. Sitting still while meditating allows the energies in your body to be still. Calmness will start to envelop you automatically. The act of meditation will become more joyous and the rewards will come quicker. Patanjali said that one can sit in any posture that is comfortable and one that brings stillness in your body. This does not mean you can completely ignore the basics of a posture. Key elements of a meditation posture as described by Patanjali. Straight Back – sit as upright as possible comfortably. Don’t push your chest too far out. 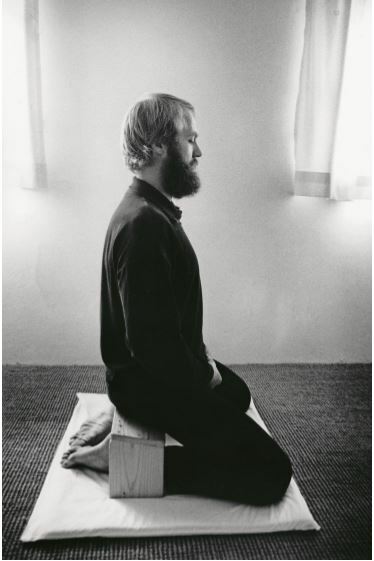 Cross-legged – Sit in any of the cross-legged postures: Half-lotus(Ardha padmasana), full-lotus(padmasana) or sukhasana(easy pose)/Burmese. If your physical condition does not allow you to sit in a cross-legged position then you can sit in a chair with your feet flat on the floor. Relaxed Arms – keep them relaxed, do not stretch. Joined Hands – Hands resting on your lap. Your fingers can be interlaced or you can put your one hand on top of the other. Mouth relaxed – with slightly parted lips and the tip of your tongue touching lightly your upper palate. Gentle Smile – This helps immensely in bringing overall calmness to your body and mind. Still Gaze – Still gaze aids superior concentration which in turn helps the free flow of energy in your body. Why use a cushion in meditation? A good meditation cushion helps immensely in finding the perfect posture and balance you need for your meditation practice. It provides support to your back to keep it upright, helps you sit comfortably and keep your feet and legs from falling asleep. If using a meditation cushion helps you to sit in any of the postures comfortably, if it helps you to meditate for a longer period of time, then you should definitely use it. Using a Meditation cushion is always recommended for people who meditate on the floor especially those who meditate in a cross-legged and Burmese pose/easy pose(sukhasana) as it provides the meditator with a great comfort and perfect ergonomics and in turn, you will be able to meditate for a longer duration. Whatever it is…our ultimate goal should be to sit comfortably in total stillness so that you get the best out of your meditation session and a cushion or pillow would be a great help to achieve this goal. Practitioner often uses a meditation cushion(or a zabuton) with a pillow(or zafu). A zafu is a meditation seat stuffed with buckwheat hulls or cotton or kapok and used during sitting meditation practice. It is used by meditator to prolonge their meditation session as it helps in getting you the perfect posture and comfort. A zabuton meditation cushion is used while meditating on the floor. A practitioner uses the zabuton by placing the zafu on top of it and then sitting on the zafu in any of the cross-legged postures. Place the zafu on top of the zabuton. Sit on the zafu comfortably with spine straight. Get into any of the cross-legged pose or easy pose. Normally, people who meditate on easy pose(sukhasana) or Burmese pose uses both the zafu and zabuton set. A zafu or a pillow raises your hips which helps in keeping your spine upright while zabuton takes care of your feet and legs from falling asleep. Those who meditate on cross-legged posture(half-lotus or full-lotus) can use the cushion, zafu or both- but again that totally depends on individuals own comfort. In seiza/kneeling meditation posture, people often use a meditation bench where they place the zabuton underneath it to make their meditation session more comfortable. So, using a cushion is simple. It does not matter which way you use – but important thing is that it should help you in increasing quality of your meditation. When you meditate on cross-legged posture or in sukhasana (easy pose) – zabuton and zafu give the comfort to your feet and legs so that you never feel the urge to shift your position due to numbness on your feet and legs while meditating. 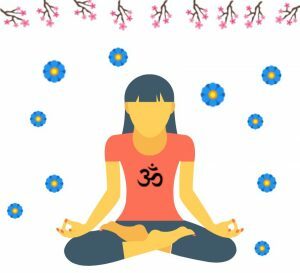 While choosing a meditation cushion – some key things you need to remember. Buckwheat filled cushions are probably the best among all as they are organic and eco-friendly so there is no question of bugs bothering the inner material. They don’t flatten quickly making it long-lasting. Unlike cotton filling, it can retain its cushioning ability for many years and they fit whichever way you sit as they have the ability to conform to your shape. The cotton fabric used in a meditation cushion has advantages over some of the other fabric used. If you sweat a lot, although it is not unusual to sweat during meditation then using of cotton fabric is an excellent choice. Moreover cotton gives you the comfort that none of the other materials like silk or synthetic fabric used cushion could provide. Any cushion you decide to buy should have an inner zipper as this allows you to fill or remove the stuffing to make the cushion or pillow comfortable according to your own choice. With regular use, the outer cover might get dirty over a period of time. In that case, if the cushion has inner zipper than you could easily wash it. So don’t forget to check also if the cushion has an outer removable cover or not before buying it. If you often go for meditation retreat or classes, then a carrying strap is great to have. It makes your life much easier, although it may not be a great concern for many of you but for those who travel a lot, having a carrying strap makes your meditation cushion easily manageable. Based on the criteria of choosing a good meditation cushion, I have a recommendation for you. You don’t have to go and search the web for it. The product below ticks all the boxes of a good meditation cushion. 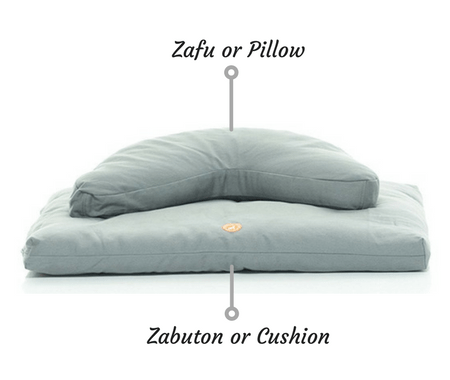 Buckwheat filling with natural cotton ensures the cushion and zafu do not get flatten quickly. Machine washable and removable cover. Has Inner zippered shell to fill or remove the stuffing to meet your comforts. Fits for all. Spacious enough. I hope you liked this post. If you have got any feedback or any questions to ask then put it in the comment section below. I would love to answer. Stay blissed.